Samsung’s Galaxy Fold has been showcased at its Unpacked event in the United States and at the mobile-focused expo MWC in Spain. However, the media weren’t allowed to tinker with the foldable smartphone, so you haven’t seen stuff like benchmarks and hands-on videos. Until recently, that is. 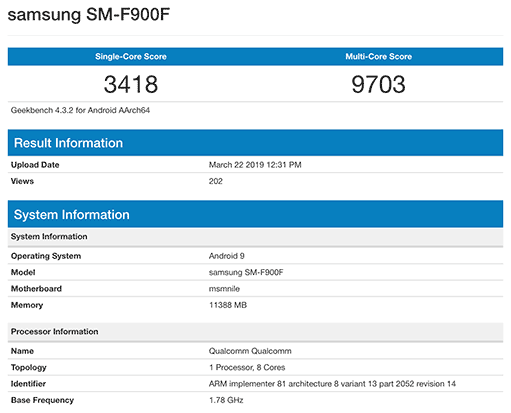 The SM-F900F — the international version of the Samsung Galaxy Fold — has been spotted on Geekbench. It notched 3,418 in the single-core test and 9,703 in the multi-core one. Those are lower than the benchmark scores of the Samsung Galaxy S10 series phones. 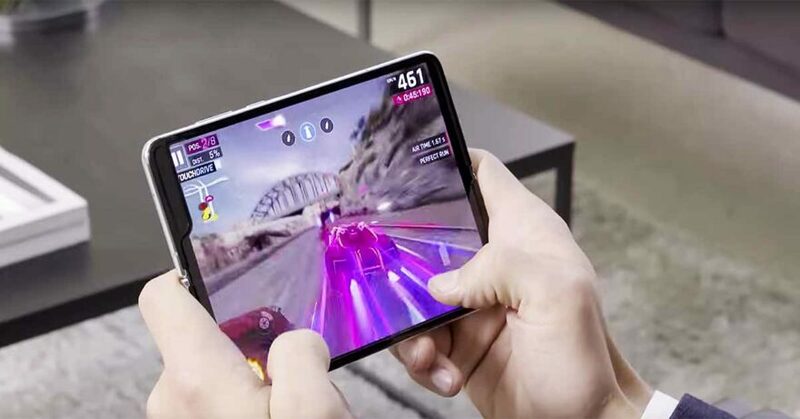 We were expecting higher points, considering the device boasts a Qualcomm Snapdragon 855 chip and a whopping 12GB of RAM. But it’s possible that the unit tested is a prototype that doesn’t even have the final software yet, so we’d rather wait for numbers that pop up after the Galaxy Fold’s release. Besides showing up on Geekbench, the Samsung Galaxy Fold has also finally appeared in videos not made by the Korean technology giant. Or so it seems. Watch these. One of the first things that you’ll probably notice is the obvious crease in the middle of the device. It’s more visible in Samsung’s foldable phone than in the Huawei Mate X we got to use for hours. Could the Galaxy Fold shown in the video be an engineering unit then? Again, all we can do is wait. In case you don’t care and want to buy one early, know that the Samsung Galaxy Fold will be available beginning April 26 in the U.S. with a starting price of $1,980 — or roughly P104,297 when converted to Philippine pesos.